And I’m back with another edition of Sunday Scan. 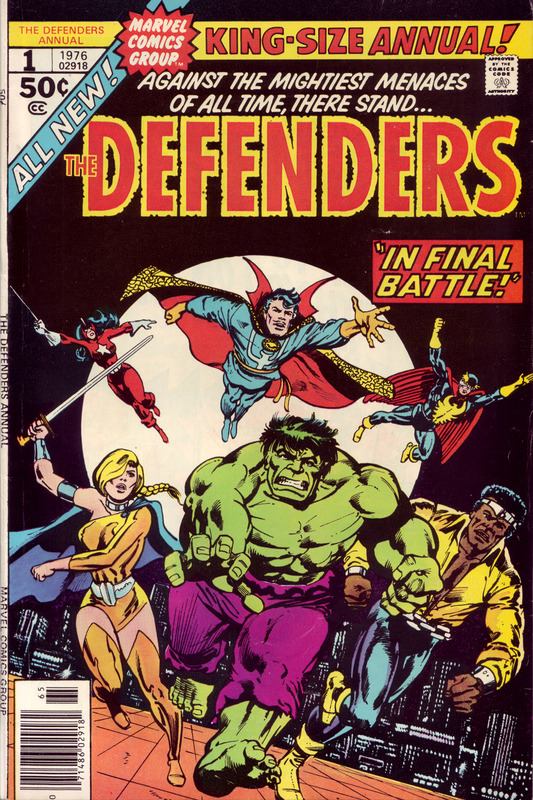 Today’s scan is the cover for Marvel’s Defenders Annual #1 (October 1976). The art is by Ed Hannigan with inks by Klaus Janson. Click the thumbnail above to load a high rez 1998×3000 pixel version.